The Perry is a sanctuary of luxury and conscientious design perfectly situated in Yorkville at Avenue and Davenport (128 Pears Ave), Toronto’s most sophisticated and vibrant neighbourhood. 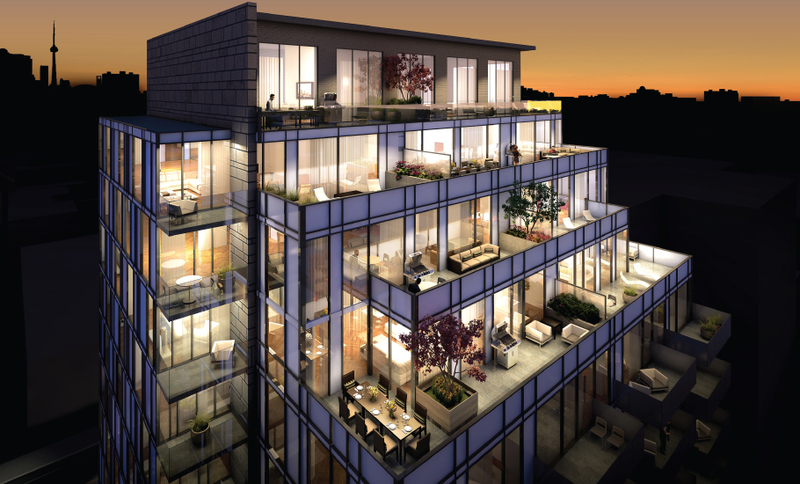 The 11 storey building houses a rare collection of only 45 suites, each a fitting tribute to spaciousness and architectural refinement, with dramatic views of Ramsden Park and the Downtown skyline. Naturally, residents’ security and convenience are of utmost importance, with a white-glove full service concierge available 24 hours a day, 7 days a week. Amenities also include an elegant piano lounge, private dining space with caterer's kitchen, a meeting room to accomodate extended business hours, a guest suite for visitors, and a serenity garden. Available remaining suites range from 995 sq ft (1 bedroom), to a 2 storey townhouse (2921 sq ft, 3 bedroom + library). Pricing is starting at $1,069,000.